Born in Grenoble, France, Rose Philippine Duchesne was drawn to a life of religious service. 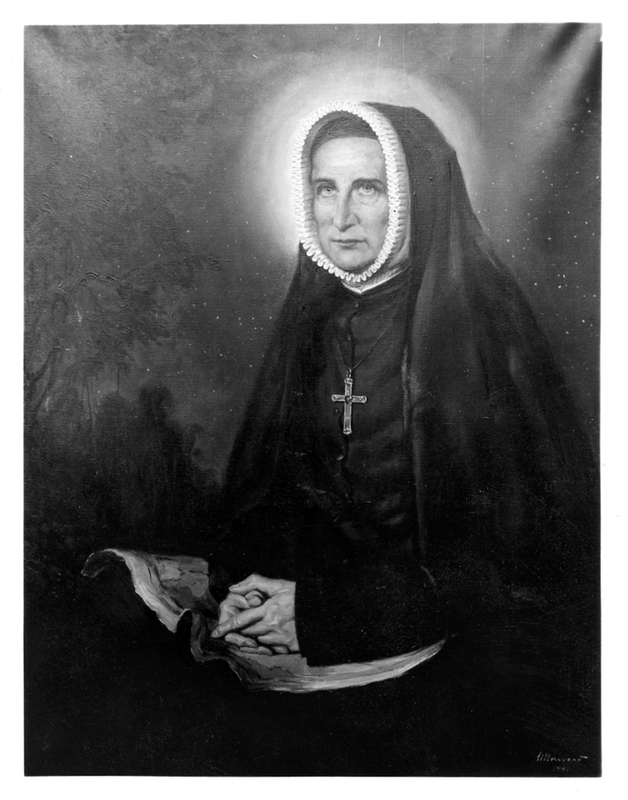 She led five Religious of the Sacred Heart nuns to the St. Louis area in 1818, settling in the then frontier town of St. Charles, where Duchesne opened the first free school west of the Mississippi. A woman of boundless energy, she also opened convents, schools and orphanages in Florissant and St. Louis. At the age of 72, she travelled to Kansas to help establish a school for the Potawatomi tribe, and her piety inspired the name “Woman Who Prays Always.” Canonized by the Roman Catholic Church in 1988, St. Philippine Duchesne lies enshrined in St. Charles on the campus of the Academy of the Sacred Heart.